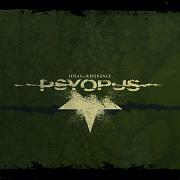 Review: "Psyopus: Ideas of Reference" - Sea of Tranquility - The Web Destination for Progressive Music! Ever take one in the nose? I did. When I was about eight maybe I decided to race my neighbor Carlos. Downhill. Into his driveway. Anyway, my bike chain snapped, no breaks, and KABLOOM! right into the side of his brother's car. The cut was so deep, the break so hard, that I bled yellow before red. It was serious pain (though I didn't really freak out until 10 minutes later when my mom saw me and thought for sure that I'd done forever made spaghetti out of my face). Anyway, the closest sting I've felt since then is this hot little number from Psychopus. Oh, I mean, I've been BLOWN AWAY by bands over the years and continue to be but this Rochester, New Yawk outfit's got it down, brother, and I'm telling you that these technically astute lads know how to show all you muthalovers a good time. Listen closely and you can hear the collective sweat of the mosh pit dripping, dripping. Drip, drip, drip.